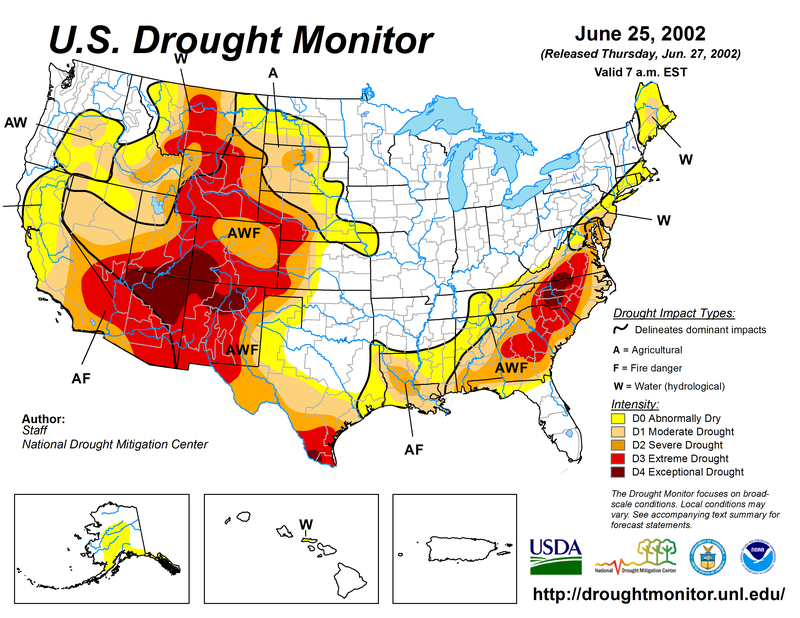 In 2002, Mother Nature fired a dry, scorching shot across the bow of the American Southwest, challenging the resiliency of towns, cities, and farms. Snow had been thin that winter in the Rockies, the source of three-quarters of the Colorado River. A hot, windy spring desiccated what remained. Runoff in the river and its tributaries, which help sustain nearly 40 million people from Denver to San Diego and Los Angeles to Albuquerque, as well as many of the nation’s orchards and vegetable farms, ran at only 25 percent of the average. The intensity of the drought surpassed anything recorded since American settlement in the late 19th century. It alone galvanized new infrastructure, new policies, and new thinking. But this drought did not just come and go. Despite a few big snow years, river flows in the 21st century still aren’t what they were for much of the last century. 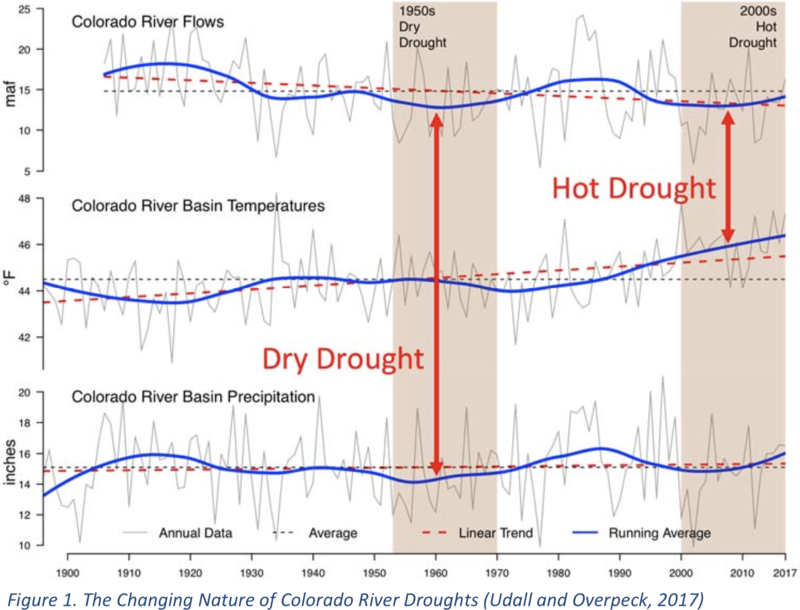 After studying the data, two water researchers recently came to a startling and controversial conclusion: This wasn’t a drought as conventionally understood. Precipitation had declined, but there was more to it. They declared that the warming climate is drawing water into the atmosphere through evaporation, transpiration, and sublimation, causing it to become moister and the land to become drier. In a 2017 paper, Brad Udall, a senior water and climate research scientist at Colorado State University, and his coauthor, Jonathan Overpeck, the dean of the School for Environment and Sustainability at the University of Michigan, attributed two-thirds of water declines to temperatures rather than precipitation, which they say is now a secondary contributor. “This is the kind of drought we will have to deal with in the future,” Overpeck said at the Next Gen- eration Water Summit in Santa Fe in April. From coast to coast, planners and water management professionals have begun to grapple with changes predicted by climate models, some in conjunction with projected population growth. Their challenge is to build resiliency to changing precipitation levels (both higher and lower amounts depending on the area), increased heat nearly everywhere, and more intense rain and weather events. Just a half-hour from the eternal lights of Las Vegas lies Lake Mead, the largest reservoir in the U.S. There visitors can see the evidence of what Udall and Overpeck contend is a temperature-driven drought. Beaches continue to expand as canyon walls reemerge after being under water for decades. 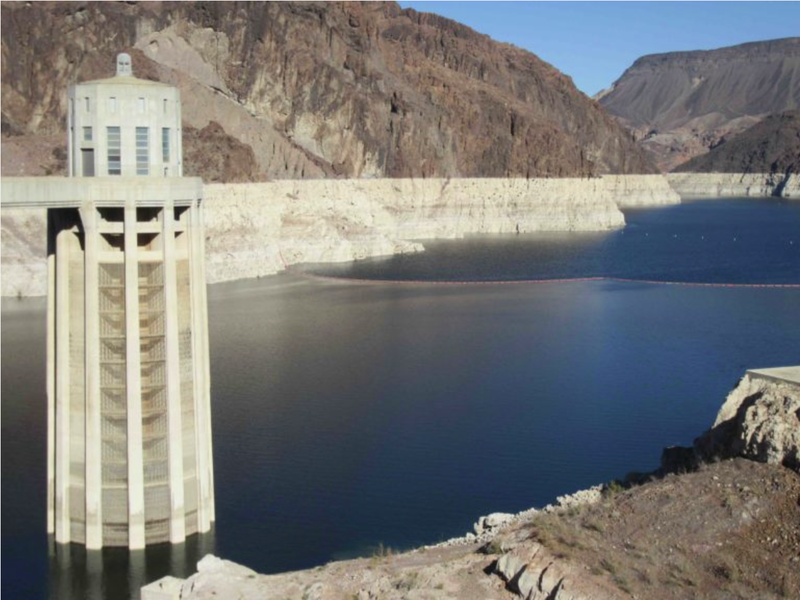 As of June, Mead was 37 percent full—the lowest level since 1937, soon after construction of Hoover Dam was completed. When it began drawing water from Lake Mead in 1971, Las Vegas’s population was 126,000. Now, the metropolitan area has two million residents and draws 40 million tourists annually. Ninety percent of water for Las Vegas and its suburbs comes from Mead through two tunnels from the reservoir’s mid- dle and higher levels. In 2010, plunging reservoir levels spurred the Southern Nevada Water Authority to a greater extreme: a third tunnel that assumes the worst—a reservoir nearly empty. This third bore comes up from underneath the river bed, like the drain of a bathtub. It’s 20 feet wide, large enough to fit a sub- way train, and three miles long. For the sake of comparison, the Hoover Dam, if built today, would cost $840 million. This tunnel, completed in 2015, and a new pumping station that will be completed in 2020, will cost $1.4 billion. That is one of the costs associated with making the Las Vegas Valley more resilient in the face of a hotter, drier future that is more volatile in its extremes. Climate models describe varied responses in average precipitation across the continental U.S. Changes in the next 20 to 30 years will likely be hard to detect, lost in the noise of natural variability, says Flavio Lehner of the Climate and Global Dynamics Laboratory at the National Center for Atmospheric Research. Sixty to 100 years out, the effects of human activities on the climate might become more obvious, but how much will depend upon whether and how much greenhouse gas emissions are reduced.“If we do hit the climate with a big hammer, meaning a lot of greenhouse gas emissions, then some of the more uncertain climate impacts, like average precipitation, become a bit clearer,” says Lehner. In some respects, this year is a harbinger: Drought in the Southwest and flooding in the upper Midwest, Great Lakes region, and Northeast are the expected climate responses to increasing global greenhouse gas emissions. The Eastern Seaboard and South, already hit by hurricanes, can expect more rain associated with future storms. Extreme precipitation is projected to increase robustly with warming, while average precipitation will increase with less predictability. Temperature changes are more certain than precipitation and will make droughts and floods both worse, if unevenly so. Lesser climate changes than what scientists expect in the 21st century have shaken past civilizations to their cores. John Fleck, director of the University of New Mexico Water Resources Program, points to Chaco Canyon, in what is now northwestern New Mexico. 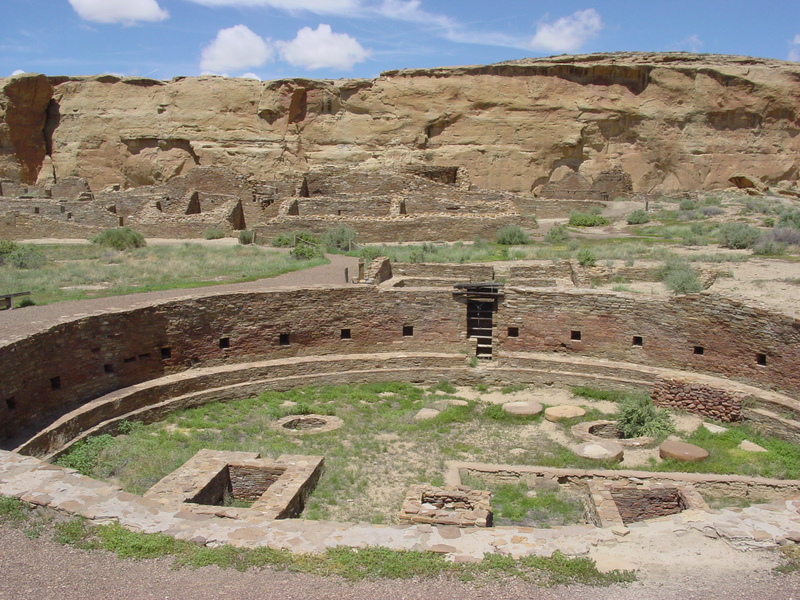 It was central to thousands of ancestral Pueblo between 850 and 1250 AD. When extended drought visited in the 1100s and again in the 1200s, the cultural institutions could not withstand the changes. People fled. In short, they lacked sufficient resiliency. One definition of resiliency, Fleck points out, is the ability of large human and natural systems to undergo major shocks and still retain their basic functions and structures. Even if Las Vegas is everyone’s favorite city to hate, says Fleck, it must be given credit for sizing up its vulnerability and taking steps to become more resilient. The city has made choices. It has kept the Bellagio fountains, the Venetian’s trompe-l’oeil canals, and Treasure Island’s waterfalls—important elements of Nevada’s economy. However, in addition to a new reservoir tunnel, the Southern Nevada Water Authority has also spent $200 million to remove 185 million square-feet of lawns, saving 55 gallons per square of grass per year. This program is the primary reason Las Vegas has been able to ratchet down per-capita water use from 199 gallons per day two decades ago to 127 gallons today. Now, the Southern Nevada Water Authority is taking aim at what officials describe as “purely aesthetic turf.” If the only time people set foot on the grass is to mow it, there’s little reason for it, they say. Already, lawns in front of new houses are prohibited, and those in backyards have been minimized. Rebates of $3 per square feet are offered. When people think of water and the arid West, squabbles and chicanery like those that drove the storyline in Jack Nicholson’s Chinatown may come to mind. 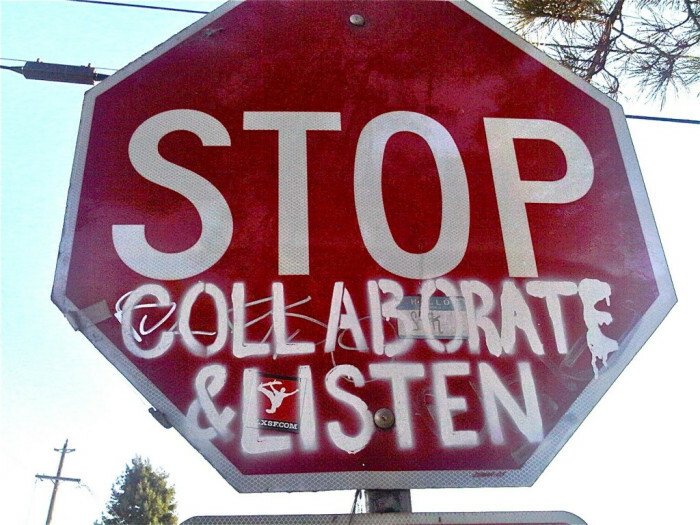 Fleck believes the stronger theme is of cooperation and collaboration. For example, pilot programs were launched several years ago in the seven Colorado River Basin states, from Wyoming to California, to determine whether voluntary, measurable reductions in the consumption of Colorado River water constitute a feasible and cost-effective approach to partially mitigate impacts of this new, long-term drought. Incentives for this mitigation are financial and typically involve urban water providers paying farmers and ranchers to use less water by idling their fields, planting less consumptive crops, or altering their irrigation practices. Agriculture uses 50 to 90 percent of water in Southwestern states. 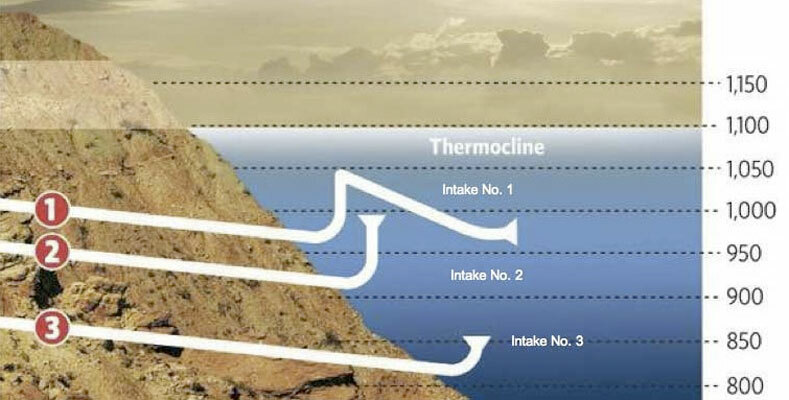 One five-year project now under way in California expects to keep 5,000 acre-feet of water in Lake Mead, the result of $1 million paid to Coachella Valley farmers to convert up to 667 acres of farm- land from flood-furrow irrigation to drip irrigation. For perspective, the average California household uses between one-half and one acre-foot of water per year for indoor and outdoor use. Kim Mitchell, the Phoenix-based representative of Western Resource Advocates, cites multi-jurisdictional storage of water in aquifers as another tool. 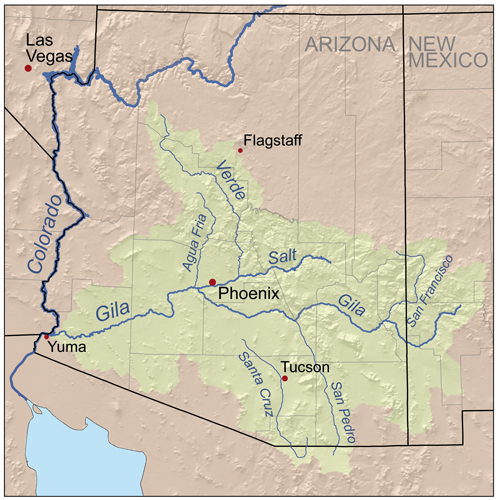 In Arizona, one recent agreement gives Phoenix the right to store 3,800 acre-feet of water from its share of the Colorado River diversion in an aquifer of the Gila River as it flows through the Gila River Indian Community. This recharge has yielded three miles of a riparian ecosystem. Phoenix can tap the water when needed. Climate change is not the only driver for these efforts. Arizona has perennially been among the nation’s fastest-growing states, despite its native aridity. Population has quadrupled in the last 50 years, but water use has stayed constant. This is partly because of shifts to water from farms to cities, but also increased efficiency in both. “What I’m hearing now at conferences is the need for the next genera- tion of conservation and reuse efforts,” says Mitchell. In more arid states, greater attention has been focused on landscaping. In Colorado, 40 percent of total annual urban water use happens outdoors. In Arizona, where precipitation varies between seven to 11 inches annually, 77 inches of water will evapo- rate from a standing pool of water. In Las Vegas, one study found that lawns used 73 gallons per square foot annually, compared to one gallon for yards landscaped with the aid of the U.S. Environmental Protection Agency’s Water-Smart Landscapes program. Southern California is home to 19 million peo- ple and is gaining 150,000 each year. It draws water from diverse sources, including a quarter from a 242-mile aqueduct from the Colorado River on the Arizona-California border. A major water whole- saler, Metropolitan Water District, chalked up a 36 percent reduction in water use from 1985 to 2015. 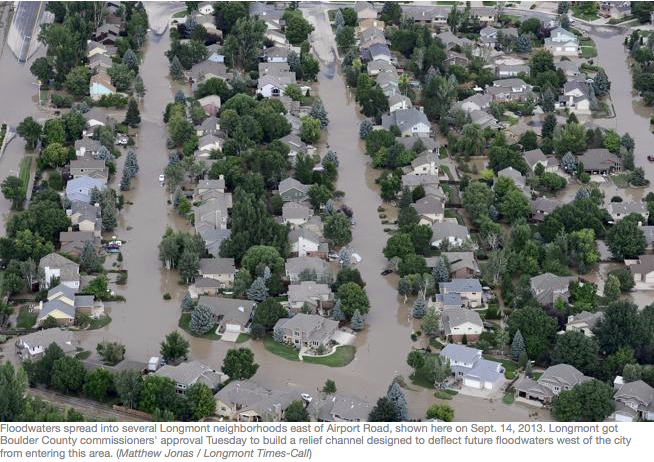 Much of this, like in Las Vegas, has been done through replacement of water-hogging landscapes. Bill McDonnell, water efficiency manager for Metropolitan, said at the Santa Fe conference that his budget went from $19 million to $450 million during California’s five years of drought ending in 2016–2017. This money incentivized the removal of 150 million square feet of turf, saving six billion gallons of water annually. Metropolitan, partnering with the California Landscaping Contractors Asso- ciation, held landscaping classes for the public, drawing 75 to 100 people for each class. In Seattle, said Mayer, the cost of delivering new water supply in 1990 had been estimated at $800 million. On the other hand, policies that nudged consumers to the “soft path” of conservation—reducing water needed for toilets, clothes washers, and other measures—cost $75 million, saving Seattle $725 million. New York established universal metering in 1990 to provide accountability and then pro- vided rebates for more efficient toilets. Those and other policies have decoupled population growth from increased water use in those and many other cities and states. “That is a significant change,” Mayer says. Toilets are substantially more efficient than they were 20 years ago, down from 3.75 gallons per flush to 2.6 gallons. Washing machines, which get replaced more frequently than toilets, now use 46 percent less water. Mayer thinks further substantial water savings can be achieved through stanching leaks in residential infrastructure. Changing behavior is more difficult. The per- capita water use for a shower is 8.3 gallons. “We’re very attached to our showers,” Mayer says. Even so, he believes only half of potential efficiencies have been realized—which means there is opportunity to further reduce water use as climatic shifts becomes clearer and populations continue to grow. Water rates can dramatically influence water use, he says. In some places, rates are being used in conjunction with a process called water budgeting. The utility can use GIS mapping and other tools to set a water budget for a house, depending upon the size and the space of the lawn. Then rates can nudge those users to appropriate uses. Motivations for lowering water use vary across the country. On the East Coast, it more often has to do with wastewater discharges. Pumping and treating water also consume large amounts of energy, which is important for communities intent on reducing greenhouse gas emissions. Drought and population growth motivate others. Texas is one of the fastest-growing states in the U.S. From 29.5 million in 2020, the state’s popu- lation is projected to grow to 51 million by 2070. Austin is among the cities expecting to grow, from one million today to four million by century’s end. Even during a drought from 2008 to 2015, people kept coming. Austin averages 33 inches of rainfall a year, a comparative jungle to the four inches in Las Vegas. But Austin’s water work parallels that of Colorado River Basin cities. Drought in Austin drove urgent responses. Per capita use has dived 35 percent over the last decade. “We’re using less water than we did 250,000 to 300,000 people ago,” says Daryl Slusher, assistant director of environmental affairs and conservation. The city, site of the famed South by Southwest festival, used policies similar to California’s: rebates for replacement of turf with drought-tolerant landscaping. It also adopted an incremental approach for lawn watering: one day a week for automated systems, three days for manual watering, and no restrictions for drip irrigation systems. A project called Water Forward, partly assisted by the city’s planning department, has formulated a 100-year vision for Austin for consideration by elected officials that anticipates not only population growth and potential return of drought but also the possibility of a marginally drier climate. Reuse is also a viable strategy. The 2017 state water plan for Texas identified 42 percent of future water needs as being met through demand manage- ment and reuse. Next year, El Paso expects to begin building a plant to provide a portion of its water sup- ply, the first such permanent facility in the U.S. This is different than the more common indirect potable reuse, where wastewater is first released in an environmental buffer before treatment. Laurna Kaatz of Denver Water, WUCA’s current chair, emphasizes the uncertainties of future precipitation but the likelihood of greater extremes, which will require understanding the different tools and mechanisms to address the range of possible futures. Resiliency planning, she says, doesn’t mean just bouncing back, but planning in ways so that you don’t have to. Amid the ongoing discussions about water in the face of a changing climate, two recurring themes stand out: The first is the need for partnerships and collaborations, often at a regional scale. The second is the continued role of—and even greater capacity for—increased water efficiency. It’s a dishrag that can continue to be wrung. Allen Best writes about water, energy and other topics from Denver. His website is mountaintownnews.net.